After completing the first three modules, students can select concentrations in entrepreneurship, organizational leadership, and project management. Students will participate in two classes within the selected concentration. Students that did not study business for their undergraduate degree must complete nine course credits in foundation classes. 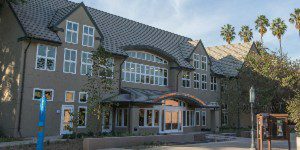 Like Weekend MBA students, Online MBA students at Mount Saint Mary’s Los Angeles must complete 36 units over a 16-month period. Foundation Courses, which are required for those who did not major in business in undergrad, add nine units to this total. The 36 units are spread across four modules with nine units of coursework for each. Module One, Setting the Stage: Understanding the External Global Business Environment, covers topics such as the business environment, economic conditions, competition and more. The second Module, Designing the Organization’s Future: Internal Strategy, hones in on finance, brand management, operational support and more. Subsequently, nine more units are dedicated to Module Three, Implementation of Strategy, during which students study the nuts and bolts of leadership, management, accounting and leadership. Students also have the opportunity to study abroad during Module Three. The Mount Saint Mary’s MBA program immerses students in an international market as a complement to the study in their third semester. MBA students examine global competition in a nine-day guided exploration of China. Participants visit Shanghai, Guangzhou, Guangdong Province and Hong Kong, and visit manufacturing companies and financial exchanges with Chinese executives and professors that provide students with a deeper appreciation of the Chinese business, cultural and management environment. During the last semester the participants work on a real life project either in their own organization or another. The project can be to solve a problem, develop a new approach or create something entirely new. The projects are submitted by organizations. As part of the process, each team of students bid on a project and under the supervision of a faculty member complete the awarded project. Upon completion of the semester, there is a reception featuring the projects with a presentation, inviting the participating companies and all those involved in the MBA program. Students in the Mount Saint Mary’s MBA programs, regardless of chosen structure, will receiver career coaching by their first semester in the program. In that time, students will assess their strengths and weaknesses, as well as their primary fields of interest. During students’ third semester, they complete a three, six, and 12-month road map to assess their career directives. Tuition for the Online MBA at Mount Saint Mary’s Los Angeles is currently $41,216. Foundation courses cost an additional $905 per credit. Mount Saint Mary’s offers several scholarship and financial aid opportunities, which are the same for international and domestic students. The Ahmanson Veteran Scholarship Initiative is designed to provide financial support for Iraq and Afghanistan veterans. Additionally, Graduate Academic Scholarships are offered in the amount of $2,500; a minimum 3.0 GPA is required for eligibility. Hispanic American students may also be considered for the Transitions Scholarship, which covers $5,000 in tuition credit. Those who demonstrate academic excellence are also eligible for a $2,500 Graduate Merit Scholarship. Six scholarships worth $2,500 in tuition credit are also sponsored by the MBA Alumni group. The Archdiocese and Southern California Gas Company also offer tuition discounts to qualified students. Financial Aid includes typical options such as Federal Direct Stafford Loans, Unsubsidized Loans, and other alternative, private ones. Applicants to Mount Saint Mary’s MBA program must have completed a Baccalaureate degree. A minimum of three years of work experience and 3.0 GPA are also required. The GMAT is not required for admission. If it is necessary to take the TOEFL, a minimum score of 79 is required. Applicants must respond to an essay and provide two letters of reference. Interviews will be conducted at the discretion of the admissions committee in person, over the phone or via Skype. The application fee is $50.